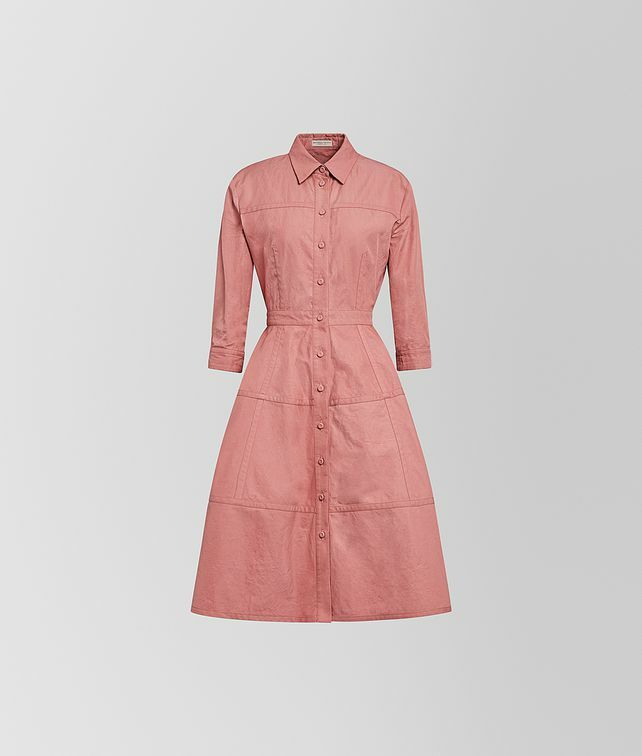 This versatile shirt dress is as suitable for office as it is for daytime social events. It’s made from a refined cotton and silk canvas that has a naturally crinkled texture. The silhouette features three-quarter length sleeves, a fitted waist and full skirt.